We have already seen a lot of GTA 5 trailers, screenshots and artworks, but its gameplay was hidden by the veil of mystery. And finally the waiting is over - gameplay GTA 5 trailer has been published today! Are you ready to see the immense open game's world? Then make yourself comfortable and watch. In new GTA 5 trailer we are able to see massive and various map of the game. Here we will find the streets with fashionable shops and fantastic nature that includes beautiful ocean. 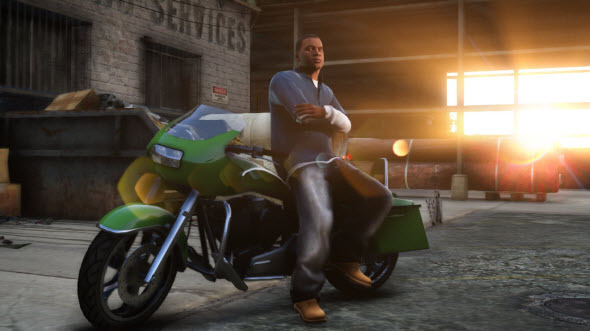 Also GTA 5 trailer introduces us to three main game's characters - Michael, Franklin and Trevor. Each character has its own storyline and features, but you can freely switch between them to complete the individual mission. And of course you can live their lives and explore the wonderful GTA 5 world from the different angles. Also in GTA 5 trailer you can see dozens of ways to spend money in the game. You can buy or customize cars and other vehicles, you can make a tattoo or choose stylish clothes, you can hunt animals, drive the planes, dive into the ocean and meet new friends. How do you like GTA 5 trailer? Are you waiting for this game? Let us know in the comments below.